The condition known as tongue-tie, or ankyloglossia, is very common, and it is a condition that’s present at birth. There are different tongue-tie surgery options to break the band of tissue that tethers the tongue to the floor of the mouth, such as a laser or electrocautery procedure. Laser procedures for tongue-tied patients may be found in a dentist’s office alongside their laser dentistry procedures. Let’s take a closer look at tongue-tie surgery. There are four surgical options commonly used for patients who are tongue-tied . The most common options for infants involves snipping the frenulum or surgically revising it under general anesthetic. Other options include electrocautery with the use of a local anesthetic or a laser procedure with a gel analgesic. These options are often performed under an outpatient status in a dentist’s or doctor’s office. The advantages of tongue-tie surgeries can change patients’ lives. Many tongue-tied people experience difficulty speaking and must undergo several hours of speech therapy. Tongue-tied babies also have difficulty breastfeeding and receiving proper nutrition. Tongue-tie surgeries can relieve these issues so children grow up without speech issues or need only receive minimal speech therapy. Surgeries performed on newborns can also significantly improve breastfeeding results for mothers and babies. The risks for any tongue-tie surgery are minimal. The snipping surgery carries a slight risk of infection, because there is an open wound in the mouth. However, this tiny cut often heals quickly and without issue. Surgery under general anesthetic may carry risks associated with infection and anesthesia. There is also a possibility that a second procedure—with laser, surgery, or electrocautery—may be required to fully repair the issue. Additional speech therapy may be required as well. 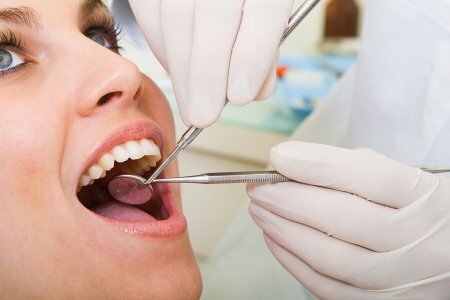 The dentists and dental staff of Glenwood Premier Dental are dedicated to providing comprehensive care for our patients, and that is why we offer laser dentistry near Hazlet. With laser dentistry , we can correct tongue-ties and offer restorative care for teeth with extensive tooth decay. Learn more by calling our office at (732) 264-4477.